Planting Flowers for Your Bees Flowers and bees are a perfect match. Bees gather nectar and pollen enabling plants to reproduce. In turn, pollen feeds baby bees and nectar is turned into honey to be enjoyed by the bees and you, the beekeeper. Everyone’s happy. 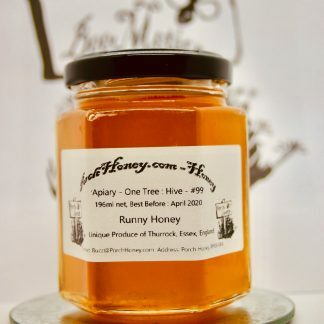 While many kinds of trees and shrubs are bees’ prime source of pollen and nectar, a wide range of flowers contributes to bee development and a bumper crop of honey. You can help in this process by adding some of these flowers to your garden or by not removing some that already are there. Did you know that many weeds actually are great bee plants, including the pesky dandelion, clover, goldenrod, and purple vetch? You can grow all kinds of flowering plants in your garden that not only will add beauty and fragrance to your yard but also give bees handy sources of pollen and nectar. You’ll hear the warm buzz of bees enjoying them before you even realize the plants are in bloom. Each source of nectar has its own flavor. 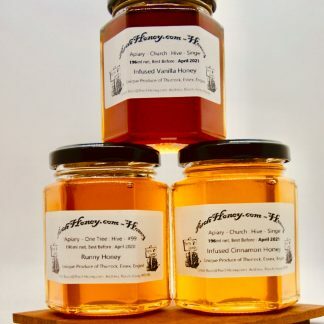 A combination of nectars produces great tasting honey. Not all varieties of the flowers described in the sections that follow produce the same quality or quantity of pollen and nectar, but the ones that listed here work well and bees simply love them. (Helianthus/Tithonia) Sunflowers are made up of two families. They provide the bees with pollen and nectar. Each family is readily grown from seed, and you may find some nurseries that carry them as potted plants. When you start sunflowers early in the season, make sure that you use peat pots. officinalis) and many bedding plants. The sages are good nectar providers. When in bloom, they’re covered with bees all day long. The variety of colors and sizes of the Farinacea and Splendens cover the entire gambit from white, apricot, all shades of red, and purple, to blues with bicolours and tricolours. They’re easily found potted in garden stores or available as from seed. Salvia officinalis is the sage herb that you can use in cooking. Bee balm (Monarda didyma) is a perennial herb that provides a long-lasting display of pink, red, and crimson flowers in midsummer. They start flowering when they reach about 18 inches and continue to grow to 3 or 4 feet in height. Deadheading them encourages more growth, which can prolong their flowering period. Bee balm is susceptible to powdery mildew but the Panorama type does a good job of fending off this problem. Bee balm is a good source of nectar for bees as well as butterflies and hummingbirds. This family also includes horsemint (M. punctata), and lemon mint (M.
(Agastache) Anise hyssop (Agastache foeniculum) has a licorice fragrance when you bruise its leaves. It produces tall spikes of purple flowers in midsummer. Sometimes you can find a white variety of this plant. The bees happily gather nectar from it. Hyssop flowers from seed the first year that you plant it. Another common hyssop is found in the wild Agastache nepetoides. It has a light, yellowish flower and is found in wooded areas. The seed for this variety are more difficult to find, but some seed houses carry them. Chocolate, spearmint, apple mint, peppermint, and orange mint are only a few of the types of mints available. They come in a variety of colors, sizes, fragrances, and appearances, but when they produce a flower, bees are there. Most mints bloom late in the year. Some can be easily grown by seed; other varieties you can start from roots. Mints are easily obtained because they spread readily and many gardeners are happy to share their plants. Most nurseries carry peppermint and spearmint. Spider flower (Cleome hasslerana) is heat and drought tolerant and grows well in the cold Northeast. This annual is easy to start from seed and grows more than 4 feet tall with airy flowers that are 6 to 8 inches across. It comes in white, pink, and light purple and adds an unusual flower to your garden. It’s also a good producer of nectar for the bees, blooming from midsummer to fall. Thyme varieties are low-growing hardy herbs. Common, French, wooly, silver, and lemon are but a few of the varieties available. Several are used in cooking. In spring most nurseries have large selections. These varieties also can be started by seed at least two to three months before planting. Put plants between your steppingstones or at the edges of your garden beds. They bloom from midsummer on. Bees will cover them most of the day gathering nectar, which is aromatic and produces nice tasting honey. Danish flag (Papaver somniferum), corn poppy (P. rhoeas), and Iceland poppies (P.nudicaule) are easily grown from seed. Some are deep scarlet or crimson, but others are found in pastel shades. All bloom freely from early summer to fall, need full sun, and grow 2 to 4 feet tall. Literature claims that poppies are valuable mostly for the pollen, but bees also are gathering a fair amount of nectar. California poppies (Eschscholzia) are golden orange and easily grown. They are a good pollen source for honey bees. California poppies will self-seed in warmer climates. Annual and perennial selections of bachelor’s buttons are available. The annuals (Centaurea cyanus, C. imperialis), found in shades of white, pink, yellow, purple, and blue, also are referred to as cornflowers. The perennial version is a shade of blue that blooms early in summer, and sometimes again in late fall. They’re sometimes referred to as mountain blue buttons. Annual and perennial varieties produce an ample supply of nectar. They’re easily grown from seed and most nurseries have the annual variety available as potted plants. Cosmos sulphureus Cosmos Sulphur Orange cosmos to four-feet covered in small, burnt red-orange flowers, blooms slightly later and longer than the pink cosmos. Helianthus annulus Sunflower Single, large flowers or multi-headed. Varieties like Japanese, Italian and others have small, multiple blooms from midsummer until late summer. The Delta sunflower is a wild species that blooms for many months. Phacelia tanacetifolia Phacelia Late spring blooming annual to 4 feet. Fragrant,light blue flowers. A bee favorite. Phacelia grandiflora A gorgeous blue Phacelia to 2 feet. Native bee favourite. Phacelia bolanderi Phacelia Phacelia to 14 inches with soft blue flowers in hanging bells. Likes shade and some summer water. Papaver ssp. Greek poppy A rhoeas type poppy with scarlet blooms with black blotches at base of petals. To 16 inches. Madia legans Tarweed Three to four-foot tall, late summer blooming annual with lots of bright yellow daisy flowers. Has sticky foliage with a distinctive resinous smell. Grows in adverse conditions in full sun with no irrigation. Angelica stricta ‘Purpurea’ Angelica Purple foliage and pink flowers make this a striking plant. Echium wildpretti Tower of Jewels Six to ten-feet. First year this Echium is a large rosette of leaves, second year the plant sends up a fantastic blue flowering spike to seven-feet or more in late spring/summer, then dies. Agastache aurantiaca Apricot Sunrise Apricot colored agastche to 2 feet. Agastache foeniculum Licorice mint Short-lived perrenial with sweet licorice tasting leaves. Agastache Tutti Frutti Spectacular raspberry-pink agastache to 4 feet. Agastache rupestris Long-lived agastache to 1.5 feet. Angelica hendersonii Angelica All angelicas are superb garden flowers and attract many insects. Some are biennials. Asclepias speciosa Showy milkweed Gray-foliaged plants with narrow to wide leaves from one to five feet tall, with large rounded umbels of white or pink flowers that are often fragrant. Dies to ground in winter. Blooms early summer to midsummer. Very drought resistant. Main food plant for Monarch butterfly caterpillars. Can be prone to orange aphids late in season. Many insects visit the the flowers. Bee favorite. Can spread. Aster lateriflorus Prince Clump forming aster to 2X2 with dark purplish, green foliage with an abundance of small pink/white flowers with reddish centers. Late summer bloomer. Aster lateriflorus Lady In Black Aster that forms colonies of dark purple, upright stems and has tiny, white blush pink flowers. Late summer bloomer. Aster Little Carlow Beautiful Aster with light blue/purple flowers to 2 feet. Ballota pseudodictamnus All Hallows Green Low, Mediterranean perennial similar to horehound. Species has gray, aromatic, felt-like leaves. ‘All Hallows Green’ has striking, rough green leaves. Blooms spring/summer. Calamentha nepetoides Honeybee and many other insect favorite. Dainty white flowers to 2 feet. Caryopteris incana Bluebeard 3X5 perennial/shrub with dark purple flowers that encircle the stems. Blooms late summer. Echinops bannaticus Blue Glowí Globe Thistle 2X2. Perennial with globes of metallic blue blooms. Like moderate water and good drainage. Epilobium California fuchsia selections and cultivars Catalina, Chaparral Silver, Schieffelins Choice,many other good ones. Good drought resistant ground cover. Gophers don’t eat it. Eriogonum fascicularis California buckwheat Evergreen, narrow, grey leaved, Buckwheat to two by two-feet with white flowers. Very drought resistant; long summer bloomer. Eriogonum grande rubescens California buckwheat Small red-flowered buckwheat to 1 foot. Eriogonum giganteum California buckwheat St. Catherine’s Lace. Huge white Umbrellas on a 4 feet plant. Eryngium tripartitum Blue sea holly Attractive blue thistle flowers that also dry well. Grindelia camporum Gum Plant Yellow daisy to 2 feet. Blooms all summer – tough. Helenium puberulum Helenium Native helenium. Grows in damp areas. Blooms early summer. Helenium autumnale Sneezeweed Long, late summer flowering Midwest native with daisy-like flowers with prominent disc florets and ray florets in autumn shades of orange/yellow red/brown. From two to five feet. Clump forming and dies to ground in winter. Likes moisture. Helianthus giganteus Giant Sunflower To 10 feet. Spectacular but can spread. Gaillardia Oranges and Lemons Blanket flower All gaillardias are good bee plants. Gaura lindheimeri Gaura White flowers like orchids on a 2 foot plant. Lantana camara Radiation Lantana for butterflies Not hardy, but flower covered plant. Lavender Goodwin Creek Gray, Grosso All lavendars are excellent bee plants. Lavandula stoechas Spanish lavender Blooms in March/April before other lavenders. Linaria purpurea Linaria From southern Europe. 3 ft, narrow perennial with purplish foliage and violet/lavender flowers in summer. Will reseed slightly. Marrubium supinum Horehound Light gray leaves and attractive pink/lavender flowers. Melissa officinalis Lemon balm Lemon scented mint-like plant. Leaves can be made in to tea. Mimulus hybrids Sticky monkey flower Native monkey flower in many beautiful flowers. Monardella villosa Russian River Coyote Mint Rangy perennial with rounded, aromatic leaves to about one- foot, and fuzzy heads of mauve flowers. Likes dry conditions. Stems are brittle. Nepeta faassini Catmint Clump-forming perennial with spreading stems with ovate leaves to one-foot high and two-feet wide; blue, mint-like flowers. Blooms spring to midsummer. Origanum Betty Rollins ornamental oregano. Super rock garden type drought resistant plant that blooms for a long period. Origanum Herenhausen ornamental oregano. Like summer water. Beautiful blooms. Origanum Kent Beauty ornamental oregano. Beautiful ornamental oregano. Origanum heraclitoticum Greek oregano Edible oregano that behaves much like mint. Pentsemon heterophyllus Margarita BOP Blue bedder pentstemon Spectacular deep blue flower. Papaver atlanticum Morocco poppy Orange poppy that blooms early summer. Perovskia atriplicifolia Russian sage Upright sub-shrub with gray-white leaves and tall spikes of violet-blue flowers. Rosemarinus officinalis Rosemary Upright or prostrate, evergreen aromatic plants with needle-like leaves. Blooms winter through early summer. Drought, gopher, and deer resistant. Rudbeckia Goldstrum Rudbeckia Spreading rudbeckia that blooms late summer. Salvia apiana White Sage White foliage and upright growth make this a striking plant. Savia brandegei Brandegee Sage Deep blue/purple blooms to 2-3 feet. Salvia clevelandi Alan Chickering Bush sage to 4 feet. Salvia clevelandi Winifred Gilman More dainty version of ‘Alan Cickering’ with dark blue flowers. Salvia Indigo Spires More tender sage, likes water but with spectacular blue/purple large blooms. Salvia mellifera Black sage Deep olive-colored leaves. Salvia mellisodora Grape scented sage Tender sage to 4-5 feet. In frost-free climate blooms all year. Salvia Purple Rain Another fairly tender sage that likes water. Salvia sonomensis Sonoma Sage Creeping sage with gray foliage. Needs some shade. Salvia uliginosa Bog sage Spreading, water-loving sage with light blue flowers. Scabiosa All scabiosas are good bee and butterfly nectar plants. carefree stems and blue/green foliage. Very easy and floriferous. Avg/low water and sun. Solidago californica California goldenrod Late blooming perennial with wispy, bright yellow panicle blooms to about two to three-feet. Can be slightly invasive. Solidago rugosa Fireworks eastern goldenrod Spreading late blooming bright yellow flowers. Teucrium chamaedrys Germander Evergreen perennial to 1.5-feet with glossy, small leaves and mauve to deep purple flowers. Can be cut back in winter; blooms summer. Teucrium cussoni Majoricum Groundcover Teucrium with mauve, scented flowers. Thymus vulgaris Dot Wells Common thyme Common thyme to 1×2 with mauve flowers in late spring/early summer. Dependable. Needs good drainage. Sun. All thymes great honeybee plants. Thymus serpyllum Red Creeping red thyme All thymes great honeybee plants. Verbena bonariensis Tall verbena to 3-4 feet. Cut to near ground in late summer or winter. Verbascum olympicum Biennial that has a striking rosette of silvery, felt-like leaves the first year, than a spike of bright yellow flowers to four to five-feet the second year. All verbascums are good bee plants and very attractive. Arctostaphylos Manzanita Any good. Winter blooming. Beautiful. Ceanothus Any good. Beautiful blue flowers. Large shrub to groundcover. Ceanothus ‘Concha’ To 4-5 feet. Deep blue blooms. Reliable, beautiful. delileanus) with pale blue, fragrant blooms mid-summer and broad, oval leaves. Likes moderate moisture, well drained soil. Hearstiorum Hearst ceanothus California lilac from Hearst castle area on central coast. 6” to 1′ high and 6 plus ft spread. Narrow leaves have crinkled texture. Low water use. Euonymus fortunei Euonymus Shiny green leaves, evergreen. Small yellowish flowers. Heteromeles arbutifolia Toyon Christmas berry. Attractive white umbrella flowers and red berries in winter. Mahonia aquifolium (Berberis) Shiny , evergreen holly-like leaves, yellow flowers. Rhamnus californica Coffee berry Dense, evergreen shrub to eight-feet with green oval leaves and small yellow/chartreuse flowers; late spring/early summer; insects love. Rhus ovata Sugar bush Drought resistant shrub to 8-10 feet. Needs good drainage. Philadelphus lewesii Mock orange Very fragrant white flowers in June. Vitex agnus-castus Chaste tree Vibrant blue/purple blooms.